The 9-hole regulation length golf course is a par 36 course that features 2 sets of tees for different skill levels. The longest hole on the course is hole #5, a par 5 that plays 563 yards. The shortest hole on the course is hole #4 that plays to 143 yards from the back tees. There's a total of 3256 yards. 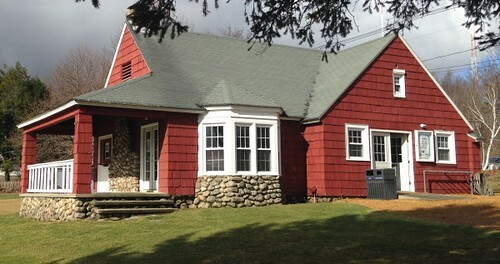 Pakachoag Golf Course is a municipal public course operated and managed by the Town of Auburn. Many improvements are planned over the winter both on and off the course. We have a new logo, new reduced rates and a new look! We strive to provide a quality golf experience at affordable rates. We are excited to serve you for the golf season. Come see the Pakachoag Golf Course for yourself!